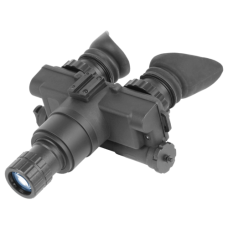 ATN's NVG7 night vision goggles are some of the tough and most reliable in the field. That, combined with ATN's superior quality photocathode tubes have made these goggles a favorite of professionals, law enforcement, and hunters and civilians. Designed to be multipurpose and adaptable, the NVG7s go where other goggles simply can't. 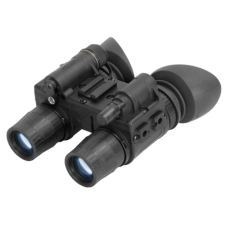 NVG7 night vision goggles are designed with the consumer in mind, every step of the way. 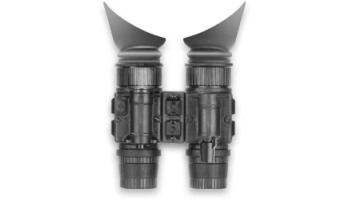 NVG7s are created using high grade and durable materials, while still keeping the price in mind, making these some of the best budget night vision goggles available on the market. 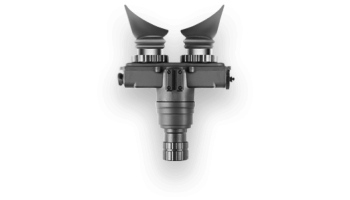 But ATN does not sacrifice quality for affordability, and this device features ATN's signature high resolution high quality image intensifier tubes. In addition, these goggles are designed to be used in a variety of formats, such as head mounted, helmet mounted, or handheld, further increasing their usefulness, and combines the benefits of goggles, a multipurpose night vision device, and binoculars, all into one package. Lightweight, rugged and a top notch performer the NVG7 is an exceptional choice for hands-free usage..
ATN's PS15 night vision goggles are one of the highest performing, most innovative, and easiest to use night vision goggle devices ever made. The PS15's high performance lies in its most innovative feature: dual lenses, and dual image intensifier tubes. The dual lenses and dual image intensifier tubes provide a previously unheard of level of accuracy and depth perception, allowing what would have been impossible with other goggles of a single lens design, such as reading a map in total darkness, or comprehending pictures or text in total darkness. What helps this device function in completely dark environments is its built in infra red illuminator, which allows the device to see even when no ambient light may exist. Despite the high level of performance that the PS15s deliver, they are still designed to be easy to operate and to be consumer friendly, That?s why they are designed with a simple one knob control system, so that whether you need to make an adjustment at home, or whether you need to make an adjustment in the middle of a firefight, ATN's PS15 will be easy to control. The ATN PS15 is a compact, lightweight dual Night Vision Goggle System. It utilizes two high-perform..